Today’s “Saturday Night Share” featured guest is Ashley Rahlf. Here’s a list of questions that Ashley was kind enough to answer. Thanks so much for taking the time to share a little about yourself with everyone! I taught myself how to crochet while I was pregnant with my 4th child. 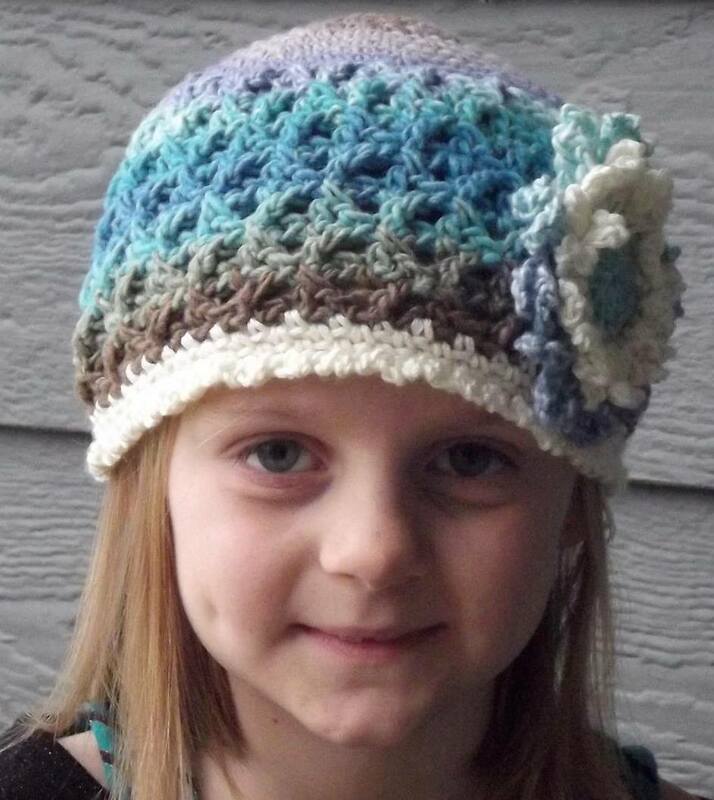 I wanted to make cuter hats than I could make on a loom for the newborns in South America and orphans in Moldova. 4.How long have you been crocheting? I have crocheted almost exactly 2 years. 5 What is your favorite thing to crochet? I love hats, baby sets (hats and leg warmers) and boot cuffs (stuff that works up quickly). 6.Is crocheting a hobby or business for you? 7.Where do you see yourself in the next 5 years? In 5 years I hope to NOT be buying diapers any more. Hehe! I’d love to see myself being more adventurous in my crocheting endeavors. I’ve never made a blanket, sweater or designed something on my own. 8.Tell me something personal about yourself. If you would like the opportunity to have your blog, Facebook page, etc. featured, just head over to my ELK Studio Facebook page this evening to find the “Saturday Night Share” post. Now grab your “I’ve Been Featured” button for your blog! 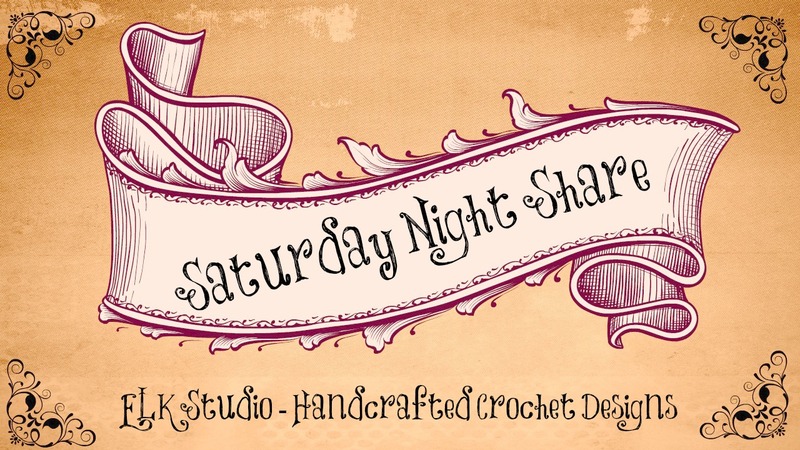 Today’s “Saturday Night Share” featured guest is Rachel Martinez from Rocnraes Simply Handmade. Here’s a list of questions that Rachel was kind enough to answer. Thanks so much for taking the time to share a little about yourself with everyone! 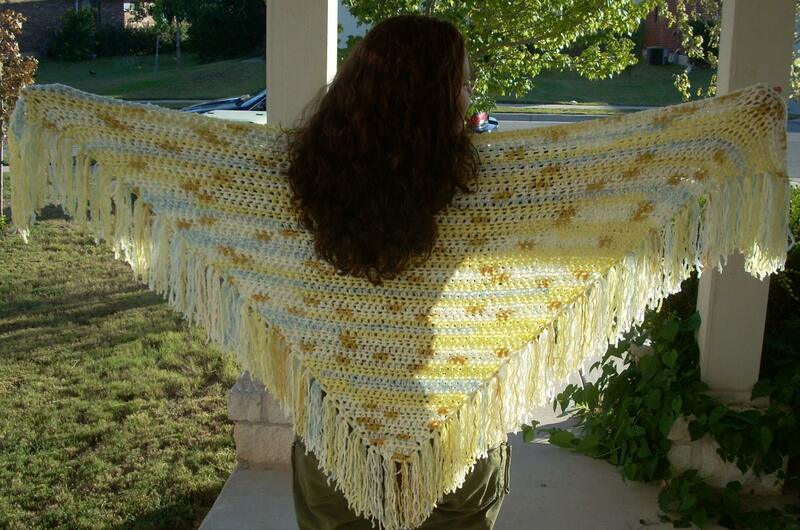 Here’s a shawl Rachel has recently made. If you would like the opportunity to share your business page, just head over to my ELK Studio Facebook page this evening to find the “Saturday Night Share” post. I love seeing new pages, and it’s a great way to mingle with other crochet loving folks! Now grab your “I’ve Been Featured” button!